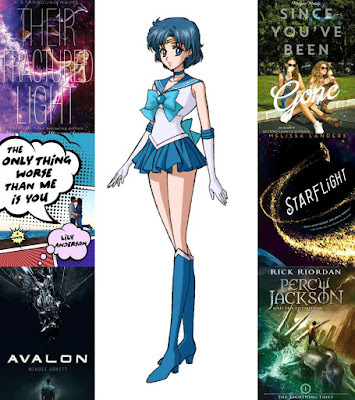 Earlier this year, Cee of The Novel Hermit (who created this graphic, by the way), Cristina of Girl in the Pages, Kristin of Super Space Chick, Sierra of SDavReads & I all discovered that we shared a mutual love and appreciation for Sailor Moon! After exchanging plenty of flailing tweets and constantly bringing up our love for this magical girl story, we felt it was only right to celebrate it - and that's what happening this July. 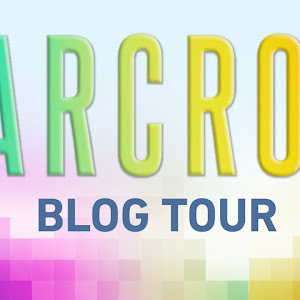 Every week will feature a brand new blog post per day from each of us, and we're so excited to be sharing the Sailor Moon love with all our readers. For the official schedule, check out the announcement post. This week, we'll all be talking about our favorite Sailor Scouts! 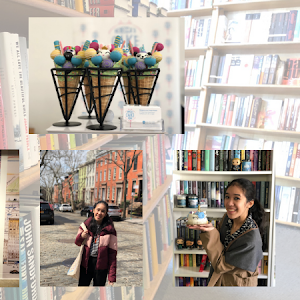 We'll be telling you why we love them, as well as giving you book recommendations to check out if you love the same Sailor that we do. 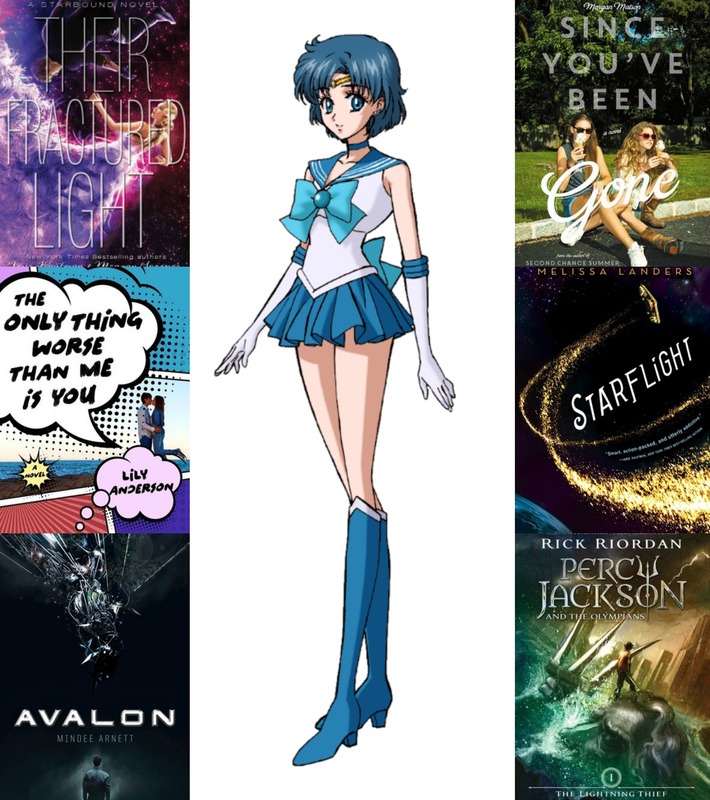 I'm kicking things off by putting the spotlight on my personal favorite - Sailor Mercury! First of all, let me tell you why I adore Sailor Mercury. I immediately identified with her when it was revealed that she's basically the smarty pants of the squad, who also happens to be really shy. But underneath that reserved exterior, Ami is also extremely loyal, kind, averse to most conflicts (especially within the squad) and also very sensible. I could see myself reflected so well in this nerdy gal! Plus, she loves to read, and obviously, so do I. I also could really relate to her journey in the series. She goes from someone who is insecure and reliant on other people's perceptions of her personality, to a strong, independent young lady who knows her own mind. 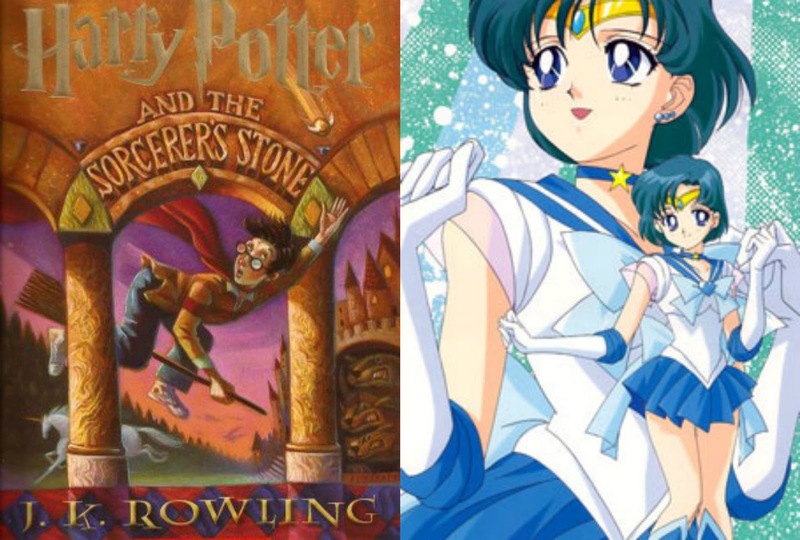 Inspired by Ami's genius, her bookworm personality and her knack for and use of technology as a Sailor Scout, and thinking about what sort of books she might like, here are six books and/or series (and a bonus seventh) that I would recommend for readers who like her character. If you've ever seen the anime, then you'll know that Sailor Mercury has a supercomputer that she uses to help the others when they are on a mission. (I actually used this book as well for the Sailor Moon Book Tag!) The use of technology and the scientific discoveries made in this series are very much reminiscent of Sailor Moon as a character. This was the very first book I picked for this list, because the main character reminded me so much of Ami. This is basically a book that features a lot of smart female characters who go to a school for geniuses, and I think Ami would fit right in with them! She'd appreciate how dedicated they are to schoolwork and to doing well, and how driven they are to achieve their goals. While I definitely considered the space setting a reason to include this book, it wasn't the main reason I wanted to recommend it here. I chose it because it features a ragtag bunch of characters who form one of the strongest, smartest crews I've ever read about, and I feel like that is very reminiscent of what Sailor Mercury and the other Sailor Scouts become over time. 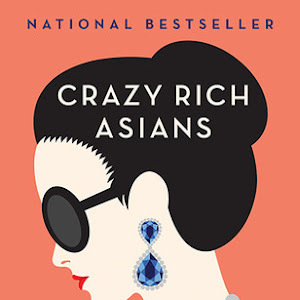 This is another novel that really reminded me of Ami! 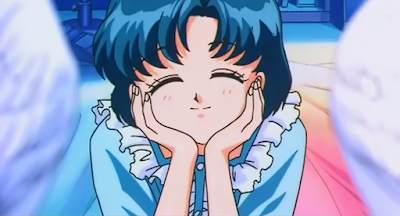 Ami starts out being shy and extremely reserved; it's only after she becomes friends with Usagi that she starts to open up. In a way that mirrors Emily's personal journey towards confidence and independence, Ami too learns to stand on her own feet, about friendship and just how much she has to offer the world apart from her brains. 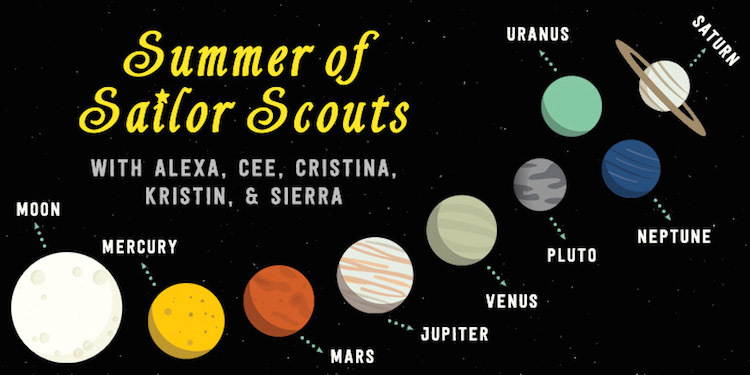 You can basically take the logic I used in choosing Avalon and apply it here as well, because this is another space adventure that involves one heck of a crew. It's not just the friendship that reminded me of Sailor Mercury and her friends; it's also the unexpected twists and turns in their adventure, which very much mirrors the way the plot moves forward in the Sailor Moon anime. Ami reminds me a lot of Annabeth Chase, who is smart, loyal and always willing to fight for the right side. 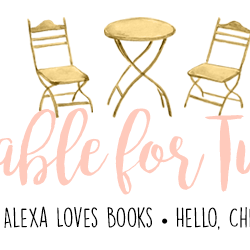 Admittedly, Annabeth is definitely a lot less shy and does not hesitate to speak her mind. But I feel like Ami would admire that! 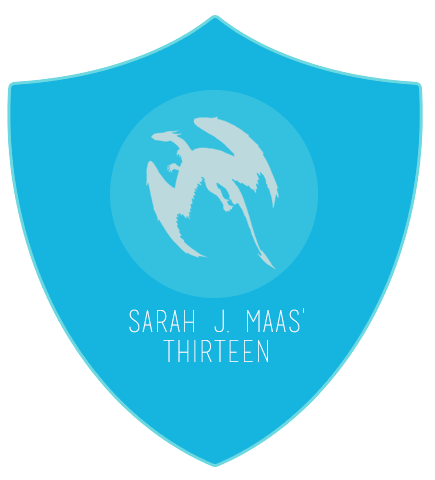 I think readers who admire her character would also enjoy reading about Annabeth, both in her initial adventures with Percy and with the spin-off series that follows. And of course, last but not least, we can't fail to mention the original genius girl that I first read about when I was a wee little gal myself - Hermione Granger. Hermione is smart as hell, always in the library or studying or doing schoolwork, always ahead of the rest of her class. She's not afraid to stand up for what she thinks is right, no matter what anyone else says. She's extremely loyal to her friends, and is always the one who tries to mend things when there are conflicts. Sound familiar? Ami definitely has a lot of the same traits, and you'll love Hermione if you like her! YOUR TURN - Who's your favorite Sailor Scout? What books would you recommend with a similar character or character trait?